Giving Props with Joey Numbers: SummerSlam 2017 Newz, Odds, and Picks! - WrestleCrap - The Very Worst of Pro Wrestling! Giving Props with Joey Numbers: SummerSlam 2017 Newz, Odds, and Picks! Badda bing, badda bam! 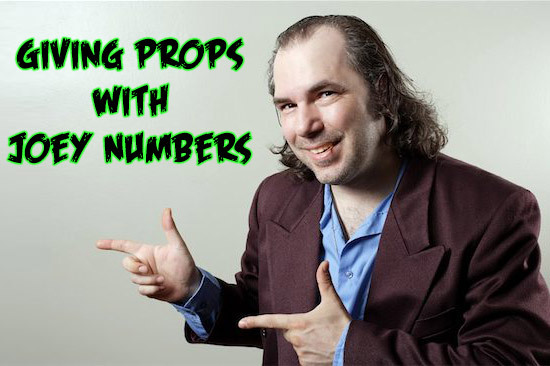 It is our esteemed privilege to introduce all our fellow Crappers to our newest feature, Giving Props with Joey Numbers! 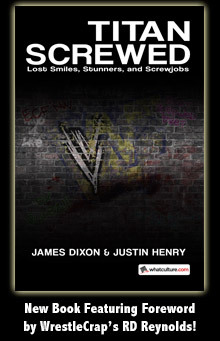 Yes the man you thought was just a mythical creature is in fact REAL, and he has found his home at WrestleCrap.com! Without further adieu, I hand it over to Jo Jo to give us the lowdown on the summer’s biggest wrestling show! Like you all know, SummerSlam is one of the biggest PPVs every year. Been that way since back in ’88, when I laid down a dime and made a fortune on Ultimate Warrior winning the IC strap from Honky Tonk Man. But hey, you don’t want to hear about me. You want to hear about the lines this upcoming weekend! So the dirt sheets would have you believe that this may be Brock Lesnar’s swan song, as there have been rumors that he is looking to return to the UFC to face Jon Jones. If his fight with Jones actually happens, it’s would be in six months or a year, so I don’t see Lesnar going anywhere anytime soon. Ain’t gonna happen. Brock makes too much to walk away from the easy scratch. But since Lesnar likes to hang out in Canada or South Dakota and not show up for pointless Raws, Vince and crew may yank the belt off him and give it to somebody else who’d be around on a weekly basis. What better way to take the title off him than in in a Fatal 4-Way where he doesn’t have to be pinned to lose it? Current odds favor Brock Lesnar to retain but Vince will change his mind 28 times over the weekend and throw the belt on Samoa Joe. It’s my KWIKSET LOCK OF THE WEEK! You know what I hate more than losing a dollar against the spread? Evil foreign villains! This Jinder Mahal guy has stolen everything from Nikolai Volkoff except for those cent sign tights Ted DiBiase made him wear back in ’94. Still, a Nakamura match is rarely a bad thing, so maybe he can life Jinder out of his normal ** range. Unfortunately, they don’t take bets on star ratings, just results, and who better to give you those than Joey Numbers? The fact that Baron Corbin lost his Money in the Bank briefcase after cashing in unsuccessfully on the last episode of SmackDown LIVE says to me it’s time to put the chips on the table for my man Nak. Bayley’s out, boo hoo. WWE found a new contender to Alexa Bliss’ Raw Women’s Championship by booking another of a string of seemingly 7,387 triple threat matches, with Sasha Banks getting her limb lifted in victory. Bliss has been on fire since winning the title, and is just the kinda chick Vinny Mac would dig. The most trusted betting sites will offer odds so review them first. But I’m here to tell ya – bet the house on Alexa retaining! Joey’s pick: Like you even need to ask. Cena. Joey’s pick: You think Finn’s going to lose in his demon gimmick debut? Why are you still reading this? Get with your bookie and make some cash! 7 Responses to "Giving Props with Joey Numbers: SummerSlam 2017 Newz, Odds, and Picks!" If Reigns wins the title by the help of Ambrose and Rollins… would fans cheer or boo? The crowd would likely perform some twisted chimera of a boo and a cheer. A choo? A beer? Am I the only one who saw the picture above and thought that it’s the new gimmick by Broken Matt? Nope, you’re not. I thought the same thing when I saw the picture. It could be a new Matt Hardy gimmick because if he kept betting incorrectly he’d lose all his money and be broken.